SiVL stands for Super Insulated Vacuum Lines. SiVL provides the most efficient method for transferring cryogenic fluids from one place to another. SiVL is used mainly for liquid nitrogen, it can also be used for argon. Variants can be made for oxygen, hydrogen, helium and carbon dioxide. SIVL is a highly developed transfer system for any extreme temperature fluid; it is most commonly used for the transfer of liquid nitrogen. Compared to even the best conventionally lagged pipework system, SIVL is 10 to 30 times more efficient in reducing heat flow. Therefore saving you money in operational costs and efficiencies. 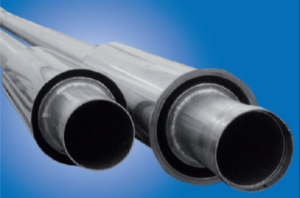 Super insulated Vacuum Lines are manufactured almost entirely of high grade stainless steel; a durable asset that also reduces maintenance costs. The SiVL has a hygienic finish and is suitable for use in food, medical and research establishments as well as in general industry. SiVL is up to 30 times more efficient in reducing heat flow, so if you’re making the upgrade to your systems, we can help you save money. CTM Europe is a trained and approved supplier of SiVL pipelines and systems for the UK. We use both flexible and rigid products from Cryotherm, which are manufactured to exacting German standards. This ensures you’ll have easy and trouble free installation and operational processes. To learn more about how CTM Europe can improve your operating efficiencies by installing your SiVL pipework system, please get in touch with our Managing Director.